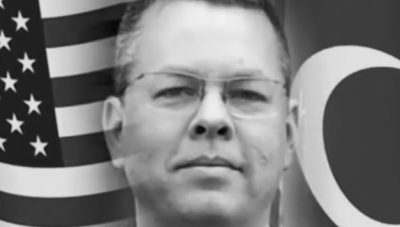 President Donald Trump of America and other powerful members of his administration have warned Turkey, a fellow NATO member, to stop persecuting Andrew Brunson who is a Christian pastor. Of course, given the dictatorial nature of President Tayyip Erdogan, then political elites in Turkey are up in arms. However, the treatment of the Christian pastor in Turkey says much about this nation under the current leader. Historically, the treatment of Christians in this nation is abysmal and this follows on from the legacy of the Ottoman Empire. Indeed, the Alevis, a minority Muslim group in Turkey, equally suffer from institutional discrimination. At the same time, vast numbers of political prisoners are in prison in Turkey. Likewise, independent Kurds who don’t follow the Erdogan line suffer alarmingly and the same applies to Kurds in Northern Syria who have suffered greatly because of the intrigues of Erdogan. It remains to be seen how Turkey will respond but it isn’t in the interest of Erdogan to up the ante over this issue. If Turkey ignores the reasonable stance of the Trump administration, then tensions will continue to fray between these two powerful NATO members. Overall, if Erdogan doesn’t relent then this time he will be taking on more than he can chew. Hence, it is essential that Turkey doesn’t ignore the veiled warnings of the Trump administration.